Kailashnath Mahadev statue is the world's largest Shiva statue. The statue of Garuda Wisnew Kencana in Bali is the second highest deity in the Hindus. 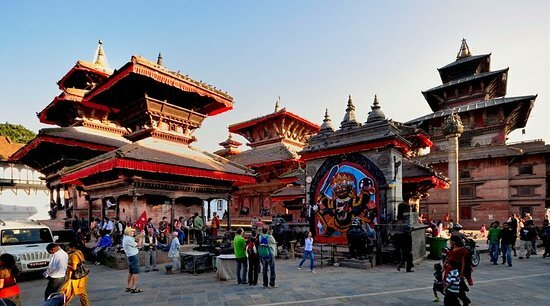 It is located in Sanga, about 20 km from Kathmandu on the frontiers of Bhaktapur and Kavrepalanchwok in Nepal. It is made of copper, zinc, concrete and steel, and it is 143 feet high (43.5 m). The statue was built in 2003 and finished in 2010, and looked like the images of Lord Shiva, the Hindu god and seen as a wonder of Nepalese engineering. It was mainly built by Kamal Jain and "Hilltake, "a Jain company that was created in Nepal in 1992. The base of the statue is about 100 feet deep, which was necessary for the structure to be anchored in the ridge. Due to the threat of potential slides, structures have also been built to stabilize the ground. Approximately 5,000 visitors visit the statue on a weekday and much more on weekends, national holidays and Hindu festivals. 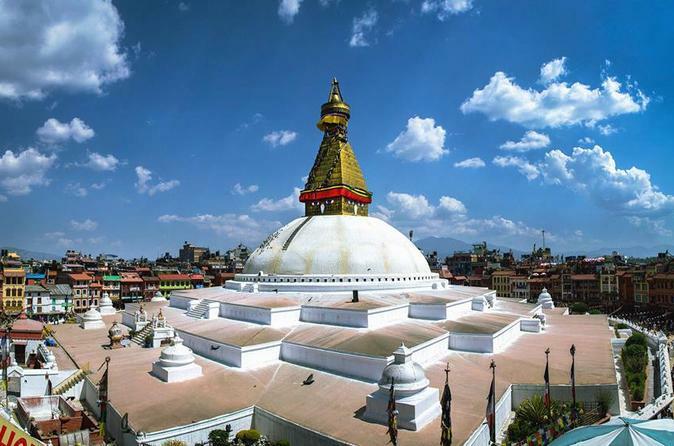 Because of the number of visitors, the statue has contributed both locally and internationally to religious tourism in Nepal, has increased the economic activity of the local community and has had an impact on the development of nearby towns. 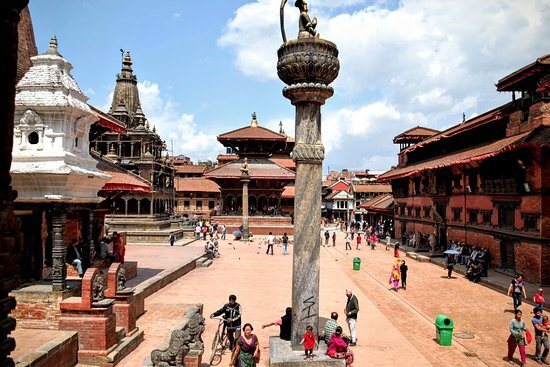 Bhaktapur, Nepal, has a very interesting link to the Mahabharata temple. 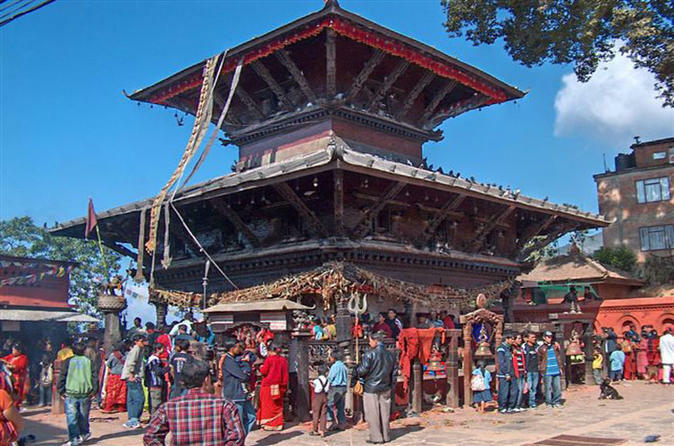 This Lord Shiva residence, known as Doleshwar Mahadev, is located in Jangam math in Sipadol village, near Bhaktapur. For the last 4,000 years, devotees have been looking for Lord Kedarnath 's missing head, who took the form of a bull in pastime with the five brothers Pandava. In recent years, Temple priests have determined that Doleshwar 's deity was indeed Kedarnath Bull's missing head. The Pandavas resigned their kingdom after the battle of Kurukshetra and left for the High Himalayas. Gorkha, is a picturesque hill town of historic importance. King Prithvi Narayan Shah, who in the 18th century united the Kingdom of Nepal, was born in the township of Gorkha. A 25-kilometer road from the main road between Pokhara and Kathmandu takes you to an ancient Gorkha–Nepal 's untouched and captivating city! Nepal was divided into 50 small states about 300 years ago and Gorkha was one of them. King Prithivi Narayan Shah, founder of the Shah Dynasty, now running Nepal, has united Nepal into a single kingdom. Gorkha palace is situated on a hill at an altitude of 3,281 feet (about 1000 metres) and the King would watch his people as far as his eyes could see from the highest palace in the very center of Nepal! Gorkha is also home to the legendary brave warriors Gurkhas, who fought against guns with knives. It offers panoramic Himalayan views, including spectacular views of Manaslu, snow-fed mountains and valley views. There's a lovely old palace named Gorkha Durbar. There are two attractive temples of Gorakhnath and Kali in the palace area. Only Hindus are allowed inside the temple of Gorakhanath. Siddhartha Gautama, Lord Buddha, was born in 623 B.C., in the sacred area of Lumbini in the Terai plains of southern Nepal, testified by a pillar inscription erected in 249 B.C. by the Mauryan Emperor Asoka. Lumbini is one of the most holy places in one of the great religions of the world, and its remains contain important evidence of the nature of Buddhist pilgrimage centers from the 3rd century BC onwards. Remains of the Maya Devi Temple consisting of brick structures in a crosswall system dating from the 3rd century BC to the present century and the Ashoka sandstone pillar inscribed in the Brahmi script with its Pali. The remains of Buddhist viharas (monasteries) from the 3rd century BC to the 5th century AD and the remains of Buddhist stupas (memorial shrines) are also excavated. 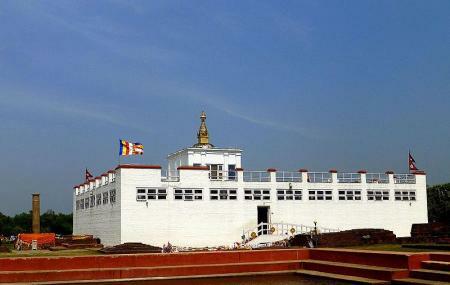 Lumbini 's integrity was achieved by preserving the archeological remains within the limits of the property, which give the property its outstanding universal value. The important property attributes and elements have been preserved. The buffer zone gives the property another protective layer. For the integrity of the property, further excavations of potential archeological sites and adequate protection of the archeological remains are a top priority. The property boundary does not, however, cover the whole archeological site and various parts of the buffer zone are found. The entire property, including the buffer zone, is owned by the Government of Nepal and managed by the Lumbini Development Trust and there is therefore little risk of development or disregard. Nevertheless, the effect of industrial development in the region was identified as a threat to the integrity of property. The town was named the birthplace of Sita in Ramanayana, the consort of Ram. As Ram is believed to be the incarnation of Lord Vishnu, according to the great Hindu epic Ramayan, Sita is believed to be the incarnation of Goddess Lakshmi. It is also thought that Lord Ram and Sita met in Janakpur and were married. Janakpur is also on the Holy Route of Parikrama (Holy Circle) in Ayodhya, Kashi and Brij in India by the Hindus as a form of worship. Another important religious site in the vicinity is Dhanushadham, the Ramayan era. It is believed that it was the place where Sita 's hand was brought into marriage after Ram broke the broken remains of God's Shiva. There is yet to be a fossilized fragment of the broken part. Dhanusha offers: religions, a lush environment of trees and groves, the semicircular charm of the Terai suburbs and the colorful Maithali art and culture. Day 9: Kathmandu is approximately 390 km away and Janakpur 's 10-hour drive. Bus leave from the Central Bus Station to Kathmandu District Headquarters. As an option we can also take a 40-minute flight. It's an hour's drive from Janakpur, Dhanushadham, 18 km away. There is public transport from the city district to Dhanushadham.